“Back then the concept might have appeared somewhat abstract but with technological advancements in the field of payment system such as UPI etc. coupled with massive enrolments under Aadhaar and their linkage to individual bank accounts, it has come within the realms of possibility. 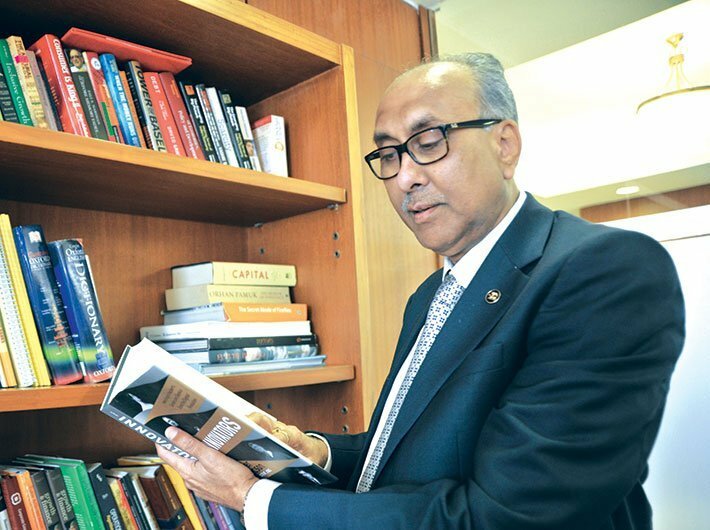 As such, the prospect of an aggrieved customer silently moving her account to another bank in the near future has become very real,” said Mundra. Delivering the keynote address at the annual conference of principal code compliance officers organised by the Banking Codes and Standards Board of India in Mumbai on Tuesday, Mundra called for working towards operationalising a query portal which will be useful for the inexperienced frontline staff especially in view of higher attrition/rotation. This would enable them to impart correct information rather than avoiding or giving wrong information. “Updation of Code of Bank’s Commitment to micro and small enterprises should include commitment on revival and rehabilitation framework and lifecycle financing of MSMEs. Though the BOs (Banking Ombudsman) don’t intervene in credit decisions, several complaints about delayed decision-making in granting of loans to MSMEs, education and housing loans are received. There is a need to include a suitable clause in the code for setting deadline for decision-making on such loans,” he said. Mundra added that the payment system area has become quite integrated with customers of non-bank players utilising the banking channels to fund their e- wallets etc. In situations where conflict arises, it would be expected of banks, being the senior and long – established players to take initiative for quick resolution so that the customer is not put to harassment. “Lessen the frustration faced by the customers while dealing with call centers or automated response systems. In this context, while the efforts by some of the banks to use artificial intelligence-driven chatbot for enhancing customer service are welcome, it needs to be ensured that the customers do not end up receiving robotic responses,” he said. The banking official said that despite outlining of minimum standards for customer service through codification of banks’ commitments to customers, “we observe that the number of complaints received by the offices of Banking Ombudsmen continues to rise”. Mundra went on to say that RBI has recently set out guidelines on ‘Framework for Revival and Rehabilitation of Micro, Small and Medium Enterprises’ for early resolution of stress in the accounts of MSMEs, following an ordinance by Government of India. Under this framework, the revival and rehabilitation of MSME units having loan limits up to Rs 25 crore is envisaged. Further, with a view to provide timely financial support to MSMEs facing financial difficulties during their Life Cycle, RBI had advised the banks to review their existing lending policies and incorporating therein, among others, provisions for sanctioning of Standby Credit Facility in case of term loans, Additional Working Capital Limits, Mid Term Review of Regular Working Capital Limits, and Timelines for Credit Decisions. He said that the office of the Internal Banking Ombudsman which has been in place in the banks for almost last two years does not seem to have become an effective forum. “Our objective in institutionalising the office of IBO was to ensure resolution of a majority of the complaints at the level of bank itself. Office of IBO was envisaged as the ultimate authority to which all unresolved/partially resolved complaints were to be escalated before giving final verdict to the complainant. Only in cases where the customer remained unsatisfied with the resolution should she need to approach the BO. A continuous rise in the number of complaints to the BO is perhaps a pointer to the fact that the institution of IBO has not been very effective or has not been empowered enough by the management,” he added.